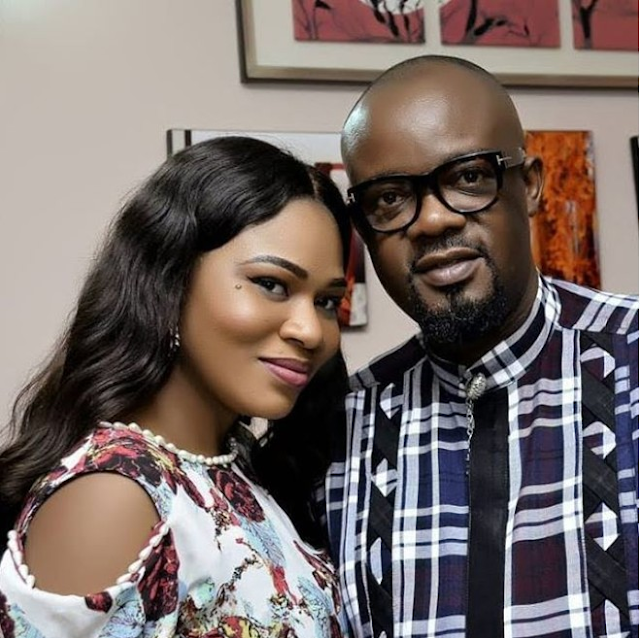 Comic Nollywood actor, Charles Inojie and his wife, Obehi are celebrating their 6th wedding anniversary today, November 17th. The couple who have two kids together, have taken to Instagram to drop lovely posts to mark their day. "Hurray! It's our 6th year anniversary!! Wow!!! I thank God Almighty for His Grace that has kept us through this journey so far... It's indeed a miracle that the travails that could have broken us asunder, left us stronger. May God bless the day I met u @obehiinojie #nademdeyrushus"
"���@charlesinojie The family that prays together stays together, happy wedding anniversary to us, 6 years today since he rushed me �� #nademdeyrushus"